Indian Railways have been killing wild elephants with impunity for many years and 10th December 2017 was no exception. 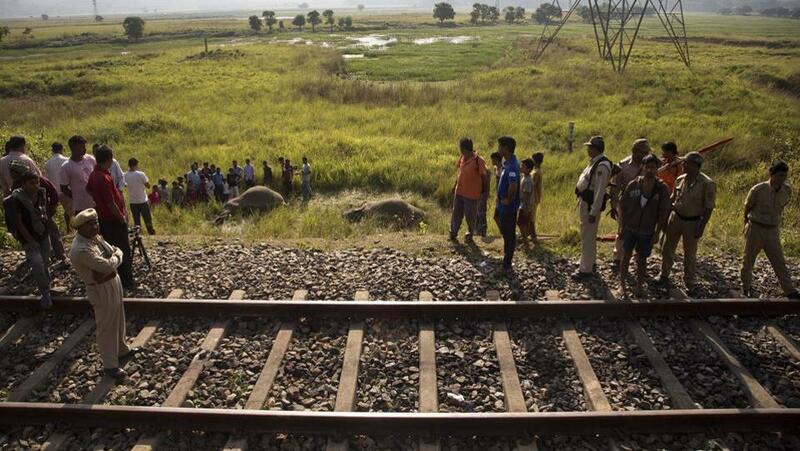 This time the 15617 Guwahati-Naharlagun Donyi Polo Express train killed five wild elephants, including a pregnant cow elephant, on 10th December near Bam Gaon tea estate in central Assam, about 210 kms from Guwahati. The wild elephants were crossing the train tracks at around 1:15 am when they were mowed down. 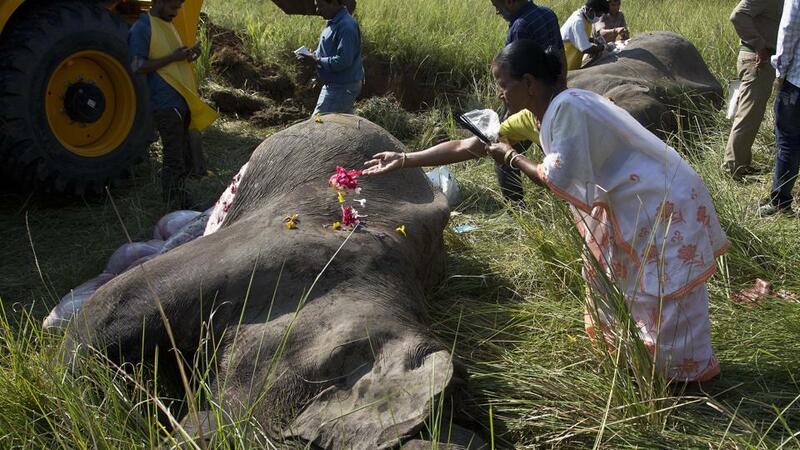 The impact was so severe that all the five elephants died on the spot. This indicates that the train was travelling at full speed. One of the dead elephants was pregnant and a still born calf was later extracted from it. In Assam many elephants have died due to speeding trains. On November 18 two elephants were killed near Thakurkuchi, which is about 19 kms from Guwahati by the Awadh Assam Express. The total number of elephants killed by North Eastern Frontier Railways is 10 in 2017. It was 16 in 2016. Given that Indian Railways doesn’t care about elephant deaths, every few weeks a few elephant deaths are expected. Every time an elephant is killed by a speeding train, the only question that is asked is about the speed of the train. Trains while passing through the elephant corridors are expected to be travelling between 40-50 kmph. However, train drivers routinely flout it to make up for the speeds lost at other places. To resolve a conflict one needs to find out the root cause else the solution will be temporary. The lower speeds of trains in the elephant corridors and forests is never going to work and there are many reasons for that. Defying rules have been ingrained into the Indian psyche. A seemingly nonchalant attitude is seen in people here in India as they violate the rules with impunity. However, the same people when they travel abroad, meticulously follow the rules for fear of persecution. It appears that our institutions are also afflicted by the same malicious philosophy. Nothing happens to Indian Railways when a train mows down elephants. Unlike owners of private vehicles who are persecuted when they hit a wild animal, Government owned public transporters appear to face no consequences. And Indian Railways is “too big” to be hauled up for wildlife crimes. So Indian Railways will never think of ways to avoid killing elephants. At the moment, Railways have conveniently offloaded the job of providing elephant movement information to the Forest department, so railways will not reduce speed unless the forest department warns it. So whenever speeding train kills elephants, the blame is apportioned on the forest department. At times the railways say that the elephants suddenly appeared on the tracks. State Governments have often said that Indian Railways don’t heed their warning and doesn’t follow the train speed limits in the elephant corridors. There was an era when even though trains used to pass through dense forests, the number of trains were less and hence there were no problems with elephant deaths. However, now the speed of the trains have gone up and the frequency of trains is high. So there is no respite for the elephants. 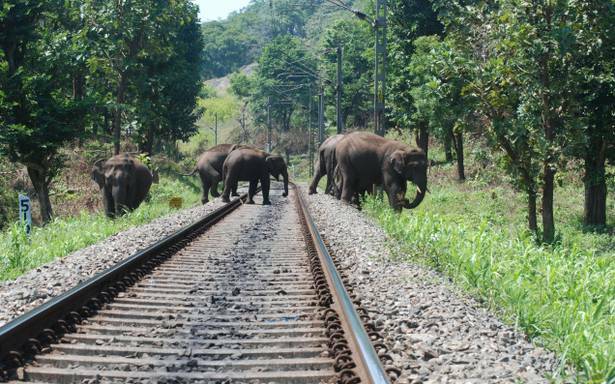 Even if the trains run at reduced speeds, due to the increased number of trains, the elephants face a tough time trying to cross the railway tracks. They are forced to wait, at times without food or water, before they can cross the railway tracks. Some may ask why the elephants need to cross the railway tracks? The reason is railway tracks have been laid to cut across forests and elephant habitat. Our Government departments, ministries and undertakings and many officers share a criminal lack of concern for our wildlife. They prioritise cost savings over welfare of our wildlife, forests and environment. So National Highways Authority of India baulks at the prospect of considering elevated stretches or overpasses and underpasses for the passage of wildlife. Similarly, Indian Railways never thinks about alternate alignments of railway lines to save wildlife. Neither does the Indian Railways think of creating underpasses for safe passage of elephants. These decisions have to be fought all the way up in the Supreme Court before the Indian Railways is forced to construct underpasses. Whereas transportation experts and bureaucrats prioritise cost savings and decide whether to build overpass or underpass, if at all they want to build, it is also important to think from the perspective of the wildlife species. Smaller species and some herbivores are known to use overpasses. However, creating an overpass for elephants to cross railway lines is a hair-brained idea. Elephants are very cautious about the route they take while climbing hills and use carefully selected paths based on gentle elevations. An animal which uses its feet to sense vibrations and infrasonic communication from other elephants over long distances, won’t love climbing up a narrow overpass when India’s primitive train coaches are making earthquake like vibrations. So from that perspective most of the overpasses will fail for elephants. It is seen that elephants generally use underpasses well if the height of the underpass is acceptable and the width is acceptable to them. So in vulnerable areas it would be important for the railways to build elevated railway tracks, so that the wildlife deaths due to accidents can be avoided. This is especially important because, the speed of trains is bound to increase after virtually remaining stagnant for decades. India now is experimenting with imported train coaches and the speeds of a few trains have been increased even with indigenously manufactured railway coaches. When a train is travelling at a high speed, suddenly lowering the speed and maintaining a slow speed over a long stretch is going to be tedious, uneconomical and inefficient. So building carefully designed underpasses in vulnerable elephant crossing areas is very important. Unfortunately, the Indian Railways is going to resist building suitable underpasses for elephants to safely pass and avoid the death machines of Indian Railways because routinely the people manning important posts baulk at the hundred or so crores of rupees required for constructing each elevated railway line stretches in elephant habitats. One needs to drill down in the heads of the bureaucrats and ministers that for a massive country like India, a few thousand crores is small change. More so when seen from the perspective of saving an iconic species which has been given the status of National Heritage animal and also from the perspective of saving human lives and making train journeys safer. Elephants also have a very intricate and complex ecological role to play in its habitat. 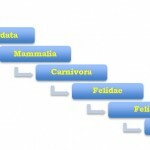 Unlike other animals, the elephants need a lot of food and have to be continuously on the move. Their habitat often lies outside the legally protected Sanctuaries and Protected Areas(PAs). With increase in linear projects like railway lines, canals, roads and reclamation of their habitat for industrial as well as residential purposes, elephants are leading a very difficult life. In Assam, illegal settlements abound around the sanctuaries, revenue lands and hillocks. One can find most of the hillocks now having illegal settlers. The illegal settlements leads to loss of space as well as reduction in the quality of the forage available in these places. This leads to lot of man-animal conflict. Unfortunately, rather than trying to remove the root cause of the problem, the authorities are always ready to kill, capture and evict elephants from the increasingly human dominated landscapes. The action of authorities is curiously given the scientific sanctity by some biologists who clearly don’t have the best interests of the elephant and wildlife in their mind and are always ready to collude with authorities for their personal aggrandizement. 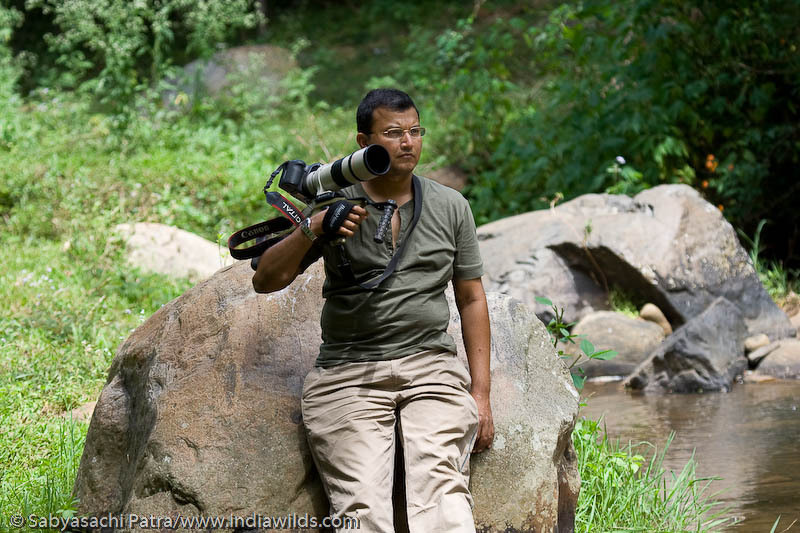 With 1.3 billion population, India is now on a war path with its wildlife and wilderness areas. So few elephant deaths every month under the wheels of railways doesn’t bother these men in power. Elephants have been integrated into our lives since time immemorial. Unlike the Africans, Indian’s had long ago tamed elephants and they occupy a rich space in our mythology and religion. Elephant being the vehicle of the Godessess of Wealth Maa Laxmi. The King of Gods Indra has the white elephant Airavata as his vehicle. Ganesha, the God who removes obstacles, has the head of an elephant. With such strong religious connections, it is extremely surprising that the elephant is now on the path to oblivion in India. The elephant has a special place in our psyche, folklore, religion and history. It would be a tragedy if India suddenly forgets the welfare of its elephants. It would be morally and ethically wrong to keep killing our Natural Heritage animal under the wheels of trains and refrain from taking action. The southern bench of the National Green Tribunal (NGT) on 13th of December in its order directed the IIT-Madras to protect the endangered blackbucks and spotted deers in its campus. This was on the basis of an on going hearing of a petition filed by animal welfare activist Antony Clement Rubin, who is honorary animal welfare officer (HAWO) with the Animal Welfare Board of India. Justice Nambiar also directed that animals, including those found in the Schedule to the Wild Life Protection Act, should be protected in the campus. In his plea, Antony Clement Rubin had said that Solid waste, including plastic in the Indian Institute of Technology campus, is injurious to deer and blackbucks and it also pollutes the environment and necessary action should be taken to halt this. The IIT-Madras in May this year, in an RTI reply to Rubin, said 220 deer and eight blackbucks died between 2014-16 in its campus and the petitioner later moved the tribunal. The NGT had last month directed the IIT-Madras to remove all solid waste dumped or scattered in and around the campus. The tribunal had last month also directed the Tamil Nadu Pollution Control Board (TNPCB) to depute a senior officer to inspect the campus and submit a status report on aspects, including the disposal of solid waste. Since blackbuck is an endangered species, if any injury or death was caused to it due to IIT’s inaction, the “polluter pays” principles would be invoked against it, the green tribunal had said. 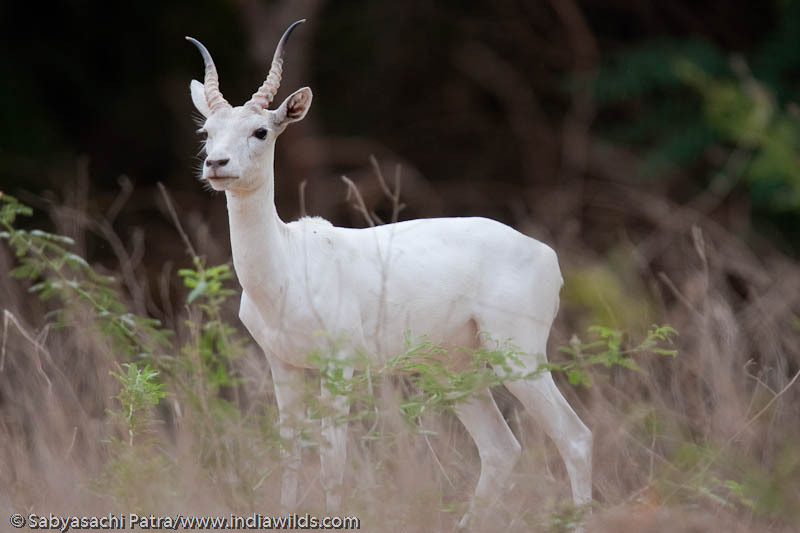 A rare wild albino black buck pauses for a moment from feeding, IIT Campus, India. The TNPCB filed its report today, referring to its inspection of the IIT-Madras campus on December 1. “The IIT-Madras is maintaining records on the collection and disposal of bio-degradable and non-biodegrable municipal solid waste generated in the premises,” the TNPCB said. It was noticed that no plastic waste was dumped in Krishna Gate, Velachery Gate and STP area, the Board said. In its previous report, the Board had flagged plastic waste in these locations in the campus. The report said IIT-Madras has applied for consent (CTE- Consent to Establish) of the Board for the “additional building constructed or under-construction after the year 2006”. The Forest Department submitted in November that due to the presence of solid waste, stray dogs enter the campus and attack deer and blackbucks, causing fatal injuries to them. It sought directions for removal of all solid waste. The IIT-Madras submitted that it had already removed the solid waste and pointed out that some solid waste were thrown into the campus by neighbours and a complaint was filed with the civic authorities in this respect. The NGT’s southern bench posted the matter for further hearing to January 24, 2018. India and its neighbouring countries Nepal, Bhutan and Bangladesh who have wild tigers have decided to jointly conduct tiger census. 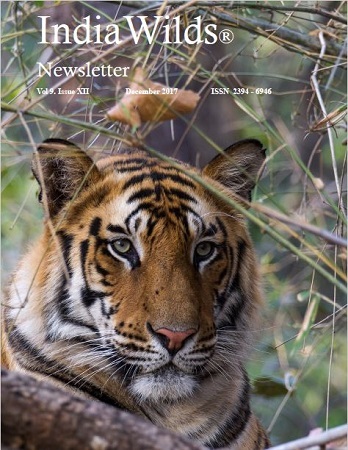 This joint tiger census is going to give a figure of wild tigers in the Indian subcontinent. These four countries took this decision at a meeting of the Global Tiger Forum. All these countries will use camera traps for monitoring tigers and the Global Tiger Forum will help in capacity building in the participating countries. There was a time when there was contiguous forests across these four countries so that tigers could come move and populate areas where tiger populations have been temporarily lost or even acted as source populations for tigers in certain cases. 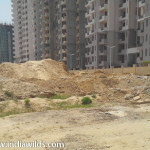 However, these days the forest cover is tenuous in many areas due to illegal settlements as well as planned settlements. Nevertheless, there is still tiger movements in some of our bordering areas in the north and north-east and especially in Sudarbans which spans across India and Bangladesh. So the joint tiger census between India, Nepal, Bhutan and Bangladesh is expected to provide a better verified tiger population estimation. More importantly it is going to hopefully lead to better coordination between these neighbouring countries in preservation of the habitat, sharing of intelligence inputs for protecting the tiger and other species, joint patrolling as well as scientific coordination. The Indian Subcontinent is home to 80-90% of world’s tiger population. So the need of the hour is sharing of scientific inputs, resources and creating long-term coordination as well as using a peer-reviewed and accepted methodology to conduct tiger census for a few decades without a break so that the tiger population numbers will have some scientific validity. Yadav explained that though tiger numbers have shown an increasing trend in India, Russia, Nepal and Bhutan, the global scenario is gloomy as Cambodia, Vietnam and Lao PDR have a very small population of tigers. “The tiger is still highly endangered and in view of this, the joint effort of these countries has tremendous significance at the international level,” he said. According to the last tiger census in India in 2014, the mean tiger population in India is estimated to be 2226. The methodology adopted for this census has been thoroughly criticized by several leading scientists. Nevertheless, these numbers are used by the authorities to pat themselves on their back for successful conservation efforts in saving the tiger. Irrespective of the official claims and counterclaims, the tiger is still on the brink of extinction and every month the seizures of tiger skins and bones etc tells a grim story about the challenges faced by the tiger. Prime tiger habitats continue to be opened up for linear projects like roads, railways, canals and diverted for infrastructure projects and mines placing further challenges on the survival of the tiger. So any kind of coordination between the tiger bearing states should hopefully lead to something meaningful in the longrun. A leopard in Nashik was shot dead by killers hired by the Forest department. The leopard is said to have killed seven persons in the last one month. The last victim of the leopard was Kunal Prakash Ahire, a young boy aged 6 who was killed on December 7th. This boy was said to be dragged away from his home. The shooters who were hired by the forest department to kill this leopard saw one leopard near Varkhede village in the Chalisgaon at 11:30 pm. The moment the leopard was seen, the shooter Nawab Malik from Hyderabad opened fire and killed it. The local folks have serious doubts about the identify of the leopard and say that a wrong leopard have been killed. There are many leopards living in the area. So identifying a leopard from far off and ascertaining it as the one responsible for the human killings is simply impossible unless the said leopard has some severed deformities which can be seen from a distance. The better bet is to place cages and capture the animal. However, repeated capturing and releasing the leopards in different areas have resulted in the leopards becoming wary of any bait in the cages and they tend to completely avoid the cages. So the next bet is to dart the leopards. However that needs skill and one needs to move close to the leopard. Veterinarians who know how to fire a dart gun don’t want to get close to leopards unless and until being forced to do that. In India that skill is not valued. Whereas in Africa, biologists routines stalk and fire dart guns to sedate large charismatic wild animals. Till the time we don’t value the importance of wildlife, many of our carnivores will continue to be shot and killed on the pretext of maneating and the shooters will continue to pose infront of their wild trophies. The unique biodiversity of the Western Ghats is severely threatened by forest loss, encroachment and conversion, according to an IUCN report. The IUCN World Heritage Outlook 2 report has for the first time assessed changes to the conservation prospects of all the 241 World Heritage sites. This report has put the Western Ghats under the “Significant Concern” category. A network of 39 separately managed sites in Western Ghats was inscribed as World Heritage site by UNESCO in 2012. The IUCN report warns that climate change will probably exacerbate a system which is already under severe stress and has the potential to impact the large-scale monsoonal processes which the Western Ghats influence. Western Ghats moderates the regions tropical climate and is one of the best examples of the monsoon system on the planet. It says ongoing pressure for development would continue to place the Western Ghats under high threat. Traditionally conserved by small populations of indigenous people leading sustainable lifestyles, the area is now under increasing population and developmental pressure, which requires intensive and targeted management efforts to ensure that not only are existing values conserved, but that some past damage may be remediated, it says. The IUCN World Heritage Outlook 2 report said that pressure from human populations in this region should not be underestimated. About Fifty million people are estimated to live in the Western Ghats, “resulting in pressures which are orders of magnitude greater than many protected areas around the world.” Evidence suggests that forest loss, encroachment and conversion continue to affect the property. The report however, acknowledges the initiatives taken by the government to protect the biodiversity of Ghats. “The challenges are many, but the will by both government and non-governmental groups to ensure the conservation of the Western Ghats is high,” it says. However, until more data is accumulated (on conservation trends and protection and management aspects), and given the number and level of threats that this property faces, its conservation outlook is still assessed as of Significant Concern, says the report. Older than Himalaya mountains, the Western Ghats, spread over Gujarat, Maharashtra, Goa, Karnataka, Tamil Nadu and Kerala, represents geomorphic features of immense importance with unique biophysical and ecological processes. 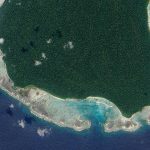 The report says each of the 39 component parts of the property has its own management system and protective measures that vary throughout this complex serial site that stretches over a distance of some 1,600 km from north to south. “There is a priority need to articulate a clear overarching management framework that harmonises policy and management practise across the various clusters and states. 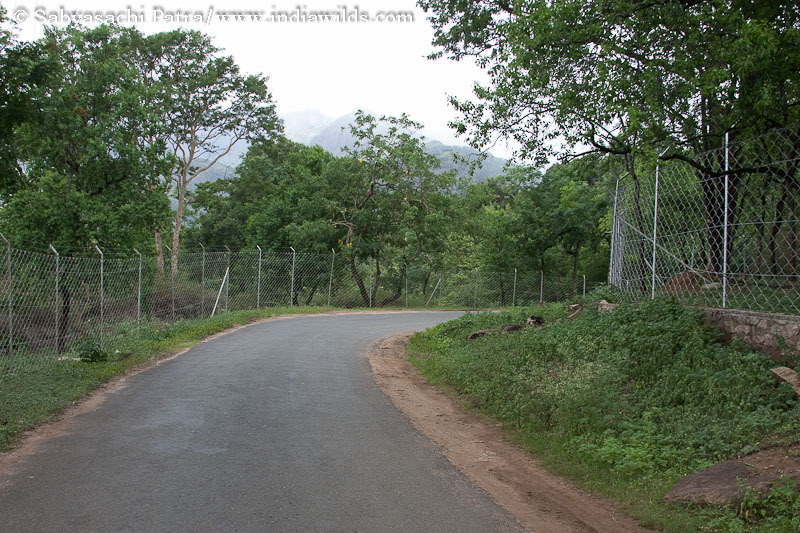 Functional corridors that assure wildlife movement and ecological connectivity between the clusters of component protected areas are also required,” it says. The global World Heritage Outlook in 2017 remains similar to 2014 with a positive conservation outlook (“good” or “good with some concerns”) for 64 per cent of sites, “significant concern” for 29 per cent and “critical” status for 7 per cent. 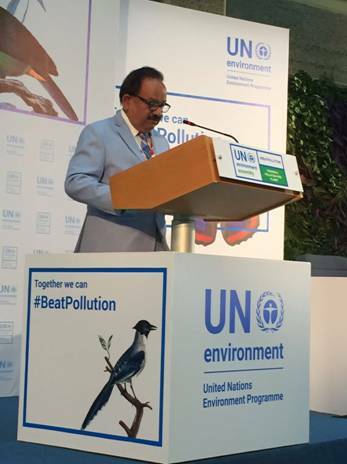 Scientific facts clearly indicate that pollution has an impact on human health, well-being and has long-term implications on Sustainable Development Goals, concedes Union Minister of Environment, Forest and Climate Change, Dr. Harsh Vardhan. He said that a healthy environment is necessary for eradicating poverty. The MoEF&CC Minister also added that the legitimate priority and needs of developing countries and their rights to equitable access to sustainable development for the achievement of sustained economic growth and social progress need to be taken into account. Delivering the National Statement on the second day of the three-day 3rd United Nations Environment Assembly in Nairobi, Dr. Harsh Vardhan reaffirmed India’s commitment to put forward a healthy and sustainable way of living, based on traditional values of conservation and optimal utilization of resources. “Towards A Pollution Free Planet” is the theme of the 3rd United Nations Environment Assembly. India has been awarded a certificate of commendation for its effort to combat illegal wildlife trade by CITES, a multilateral treaty to protect endangered plants and animals. This was stated by the Union Environment Minister Dr. Harsh Vardhan. He informed that the award was given to the Wildlife Crime Control Bureau (WCCB) under the ministry on Nov 30th 2017 by the Secretary General of Convention on International Trade in Endangered Species of Wild Fauna and Flora) in Geneva. “India has been awarded with the certificate of commendation for its exemplary enforcement action in its regional and global effort to combat illegal wildlife trade,” he said. At present there are 183 countries signatory to the CITES. Dr. Vardhan said that the award was given to WCCB for its efforts in conducting and coordinating a species specific wildlife enforcement operation, codenamed ‘Operation Save Kurma’. India is the only recipient of the certificate of commendation at the 69th Standing Committee meeting of CITES, he added. ‘Operation Save Kurma’ was conducted in the country by the WCCB to combat the proliferating illegal trade in live turtles and its parts from the country to destinations abroad. The minister for MoEF&CC also pointed out that the operation was also aimed at inviting attention of the enforcement agencies towards such illegal trade. The ‘Operation Save Kurma’ was conducted from December 15, 2016 to January 30, and approximately 16,000 live turtles and tortoises were seized and released back into the wild. Dr. Harsh Vardhan said 55 suspects involved in the illegal trade were also arrested. The WCCB worked in close collaboration with regional law enforcement agencies, including West Bengal CID, state police and forest department, the special task force of Uttar Pradesh Police, Karnataka forest and police departments and Maharashtra and Rajasthan forest departments. Emphasising on striking a balance between development and environment conservation, Uttarakhand Governor K K Paul on 29th November said that there should be a policy that ensures facilities to people in remote hill areas and protection of biodiversity and environment of the Himalayan region. Taking development to remote hill areas is a must to combat the problem of migration, but development should not come at the cost of the environment, he said at a seminar in Dehradun on ‘Challenges of Sustainable Development in the Himalayan Region’. “A policy that provides basic facilities to people in remote hill areas and at the same time takes care of the Himalayan biodiversity and environment must be adopted,” the governor said. However, it is not possible to achieve this goal without the participation of people, he said. “The ill effects of global warming can be seen in Uttarakhand in the form of rising frequency of cloudbursts, landslides and other natural disasters. “Any campaign to save the rivers, forests, wildlife and biodiversity of the state must ensure the involvement of local people without which it cannot achieve its objectives,” Paul said. He hoped that the seminar will come up with valuable suggestions which would help formulate effective policies in this regard. The ownership of National Geographic has again changed. Disney now owns National Geographic as it acquired 21st Century Fox. Disney is paying a humungous $52.4 billion US Dollars to acquire 21st Century Fox. It may be pertinent to mention that Fox had bought 73% controlling stake in National Geographic in 2015. National Geographic Society had created a for profit venture called National Geographic Partners and had transferred all IPs and content etc created in its entire lifetime. Then National Geographic Society sold off 73% of National Geographic Partners to Fox and had retained 27% minority share. At that time the deal for 73% of the National Geographic Partners was done at 725 million US Dollars. (for more details check https://www.indiawilds.com/forums/showthread.php?17027-National-Geographic-changes-its-character ) It is not known, how much that 73% share was valued by Disney as only the total value of the entire deal has been announced. Mean while the fans of National Geographic continue to moan over the demise of such an iconic brand as the fans consider National Geographic moving away from its avowed promise and becoming for profit organisation in itself is wrong. 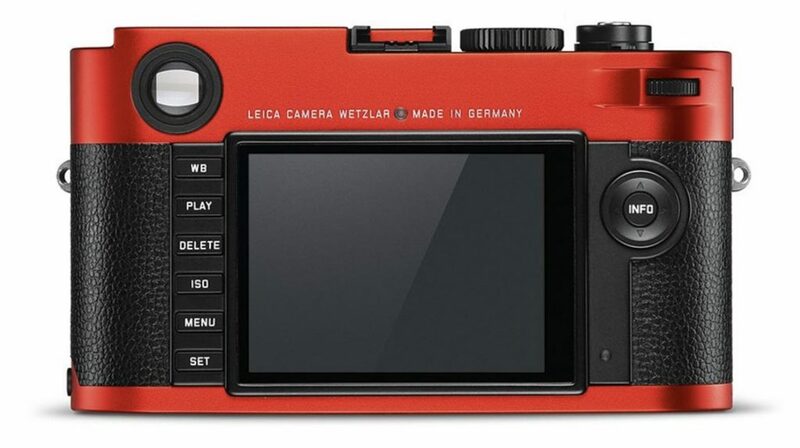 Leica has released a limited edition Red Leica M series bodies which has red coloured anodized top and base plates. A total of 100 such bodies have been on offer. Leica says that this series is designed to provide a unique look, which perfectly matches the color of the special edition Leica APO-Summicron-M 50 mm f/2 ASPH lens released in 2016. These limited edition Leica M boies are technically similar to the normal Leica M bodies already in the market. Each of these 100 limited edition bodies will bear a unique number which will help in identification and will cost $6,995 US Dollars each. 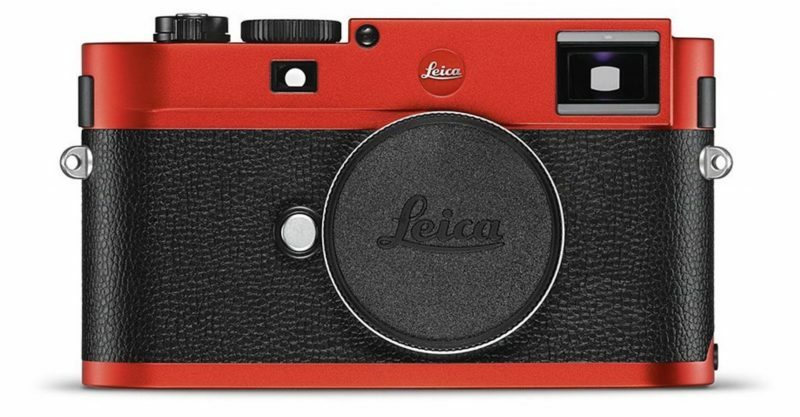 December 14, 2017 – Leica Camera presents a special new addition to the Leica rangefinder system – the Leica M (Typ 262) ‘red anodized finish’. The unique color scheme of this special edition camera takes the classic styling of the Leica M and couples it with the bold statement of a bright red hue. The top plate and baseplate of the Leica M (Typ 262) are machined from solid aluminum and anodized in red. This lends the camera a unique look that perfectly matches the color of the special edition Leica APO-Summicron-M 50 mm f/2 ASPH. 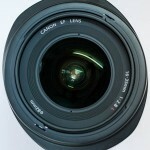 lens released in 2016. The exclusiveness of this striking edition is further underlined by the strictly limited number being made available: As was the case with the lens, the Leica M (Typ 262) ‘red anodized finish’ edition is limited to just 100 cameras worldwide, each with a unique serial number. The technical specifications of the special edition camera are identical to those of the standard production Leica M (Typ 262). With its concentration on the functions essential for photography and intuitive handling, it is the perfect camera for experiencing the pure enjoyment of Leica M-Photography. The Leica M (Typ 262) embodies all the essential advantages of the Leica rangefinder system, while consciously eschewing extraneous features that can distract from the pure rangefinder experience. Its full-frame CMOS sensor is conceived exclusively for rangefinder photography and intentionally does without additional functions such as Live View and video recording. Its 24-megapixel resolution ensures exceptional imaging quality and extreme sensitivity to light, which also makes the Leica M (Typ 262) a perfect camera for photography in any available light situation. Supporting the sensor’s versatility to capture top-quality photographs in any situation, the camera’s Maestro processor guarantees fast processing of captured images and immediate readiness to shoot. The handling of the Leica M (Typ 262) fulfills everything that discerning photographers expect from a Leica M. All controls and functions are logically and ergonomically located exactly where the photographer expects them to be. Just like every other M, it allows fast manual focusing with the coupled rangefinder and the focusing ring of the lens. It also offers a choice of manual or automatic aperture priority exposure. Due to the omission of Live-View and video capability, the menu is extremely lean and consists of only two pages. This ensures that all camera settings are easily and rapidly accessible at all times. This also applies to white balance, where the M (Typ 262) has a dedicated WB button on the back of the camera. The Leica M (Typ 262) ‘red anodized finish’ will be available exclusively at Leica Stores and Boutiques beginning today, for the price of $6,995.00. 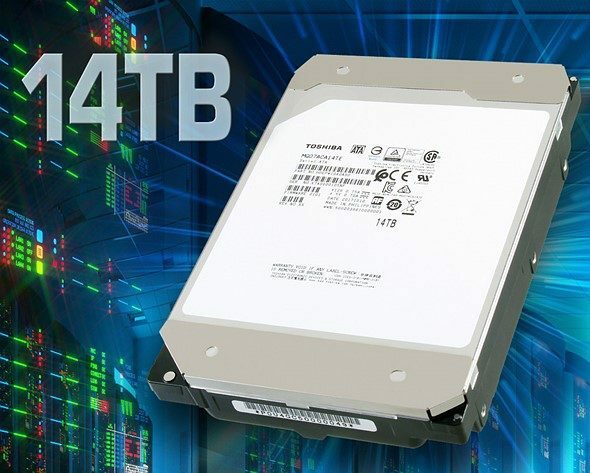 Toshiba has launched World’s first 14 TB HDD with conventional magnetic recording (CMR) ability. This 14TB model uses a 9 disk design which is helium sealed and it fits into a standard 3.5 inch SATA drive. This is a MG07ACA Enterprise Capacity HDD and has 7,200 rpm performance. The MG07ACA Series of HDDs utilise Toshiba’s precision laser welding technology to seal helium inside the 9-disk mechanics for the life of the drive. The helium-sealed design reduces aerodynamic drag to deliver a lower operational power profile, helping to achieve TCO objectives for cloud-scale and software-defined data center infrastructure. The massive 14TB and 12TB model capacity is delivered using proven CMR/PRM recording technologies providing optimum compatibility and data reliability. These drives are equipped with SATA 6.0 Gbit/s interface and easily integrates into standard 3.5-inch SATA drive bays to help reduce the footprint and operational burden of cloud-scale storage infrastructure, and business critical servers and storage systems. Irvine, CA – December 7, 2017 – Toshiba Electronic Devices & Storage Corporation today announced the launch of the MG07ACA Series, the world’s first enterprise 14TB Conventional Magnetic Recording (CMR) HDD. Using a 9-disk, helium-sealed design, the new MG07ACA Series provides the power-efficient capacity and storage density needed by cloud-scale and enterprise storage solution providers to achieve their TCO objectives. The MG07ACA Series features both 14TB 9-disk and 12TB 8-disk models. The helium-sealed 3.5-inch mechanical design realizes better storage density and a lower HDD operating power profile than the previous MG06ACA Series for optimal TCO in cloud-scale infrastructures. The series also utilizes Toshiba Group’s laser welding technology to ensure the helium remains securely sealed inside the drive enclosure. The drives support a SATA 6Gbit/s interface and 7,200rpm access performance. The 9-disk 14TB models achieve a 40% increase in maximum capacity over previous MG06ACA 10TB models. Additionally, the 14TB models improve power efficiency by over 50% (W/GB). Sony has jumped into the CFast 2.0 card market and announced a line up of memory cards upto 128 Gb capacity. These days, increasingly DSLRs shooting 4K video like Canon EOS1DXII as well as Cinema cameras like C300 Mark II, C200 are recording to CFast2.0 cards. The CFast 2.0 card standard is slowly being adopted in more and more cameras. However, the pricing of the cards haven’t come down, except for a few new companies like ezedisk, established companies are charging a premium. So Sony venturing into the CFast 2.0 cards even though it uses different standard media in its cameras, is a good news. 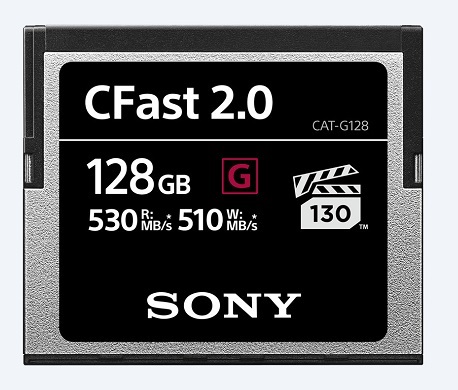 The Sony CFast 2.0 cards offer a maximum 510 MB/s write speed and 530 MB/s read speed. It uses Video Performance Guarantee 130 (VPG 130) spec which means there is a minimum guaranteed write speed of 130 MB/s. According to Sony, their CFast 2.0 cards are designed for prolonged professional use and are shockproof, anti-static and are resistant to breakage, and offers full performance even in extreme temperatures. Sony is also bundling its File Rescue software along with the CFast 2.0 cards for free. It is important because at times things can go wrong and during such moments the need arises to rescue photos and files. Sony’s File Rescue is a powerful tool for recovering damaged or lost data, and is said to be simple enough for anyone to use. Applying an advanced algorithm, Sony’s File Rescue realizes a higher rate of recovery for RAW image or MOV files captured on Canon devices. The 128 Gb Sony CFast 2.0 card will cost $350 US dollars.